A few weeks ago I shared with you about our chihuahua-mix, Venus, and her nutritional needs. Venus has a grain allergy which makes it difficult to find a food that she can tolerate and will enjoy eating. 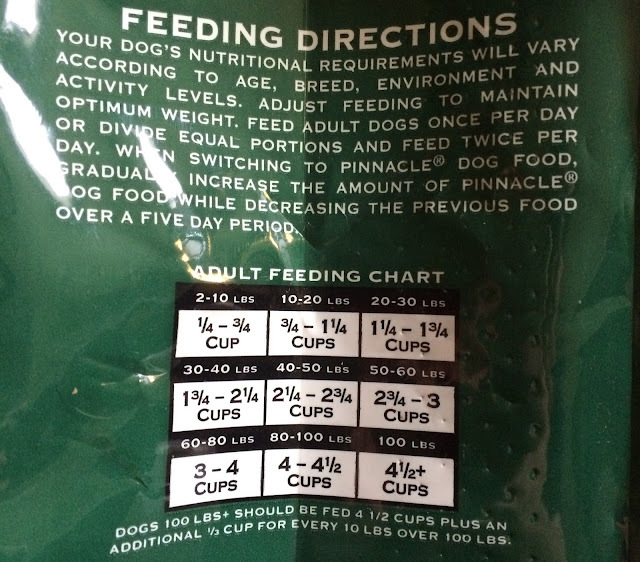 For the past three weeks Venus has been trying out a new line from Pinnacle® Pet Foods, and today we're going to share our thoughts on the food itself and how it worked for Venus. Pinnacle was started in 1998 by it's parent company, Breeders Choice, which has been in business since 1947. Breeders Choice started production of Pinnacle to offer a more holistic option to consumers from a known and trusted brand. Pinnacle uses limited, high quality ingredients and carefully prepares them to preserve their nutritional value and fine flavors. 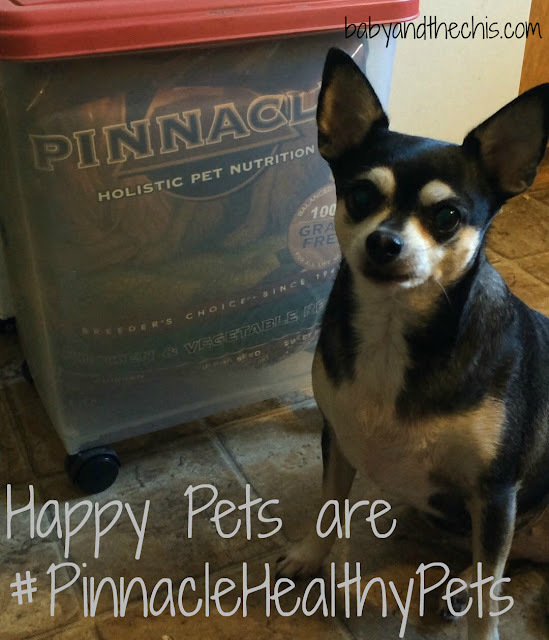 Pinnacle strives to offer natural and wholesome foods that are rich in everything your pet needs to thrive, and to be free of anything that may cause harm. Pinnacle is also manufactured in our California plant right here in the United States. 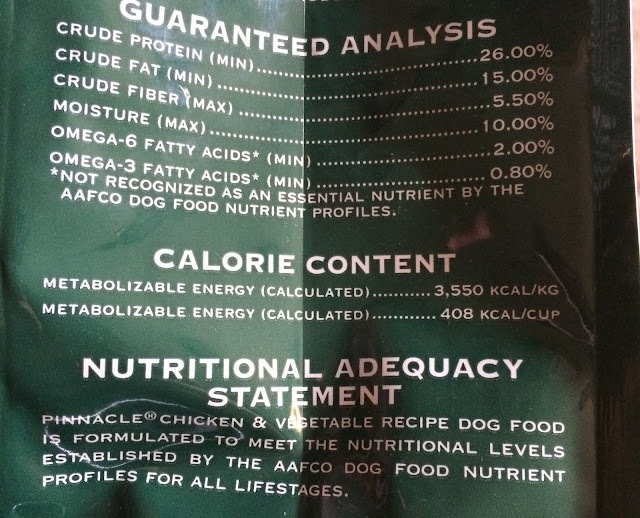 While Pinnacle has always had holistic health ingredients like quinoa, pumpkin, kelp, flax seed, blueberries, sweet potatoes and cottage cheese, in May 2015, they took all dog recipes Grain Free to facilitate easier digestion. Like mentioned above, this recipe is grain free, which means it's free from rice, wheat, corn, and other grains commonly used as filler or can be common allergens. Chicken in the main ingredient, and the only animal protein in this recipe. It also contains sweet potato (which is high in antioxidants), quinoa (which supports muscle development) as well as omega-3 rich flax seed and kelp meal to support a healthy immune system. The feeding guidelines given are perfect for dogs already at their optimal adult weight, but because Venus is overweight, we fed her according to what her optimal weight should be to make sure she's not overeating and to help her to loose weight as well. We fill in her hunger with fat free yet healthy foods like carrot sticks. Venus transitioned to Pinnacle from her old food with great ease! She experienced no digestive upset, and even picked her new food out of her bowl and left her old food for when her new food was all eaten. It was pretty funny, and very reassuring that she did in fact enjoy the taste of Pinnacle as well. Over the past three weeks I've noticed a great increase in Venus' energy - she has started running around again and has much more endurance on our daily walks, to where she can walk further and faster each day! After a small bout of shedding, Venus' coat is much more shiny and soft, and smells more clean too. Her poops are smaller and more regular, indicating that her body is able to use more of the nutrition she's digesting vs her old food. Venus is an overall more happy and healthy dog since beginning a Pinnacle Grain Free diet. 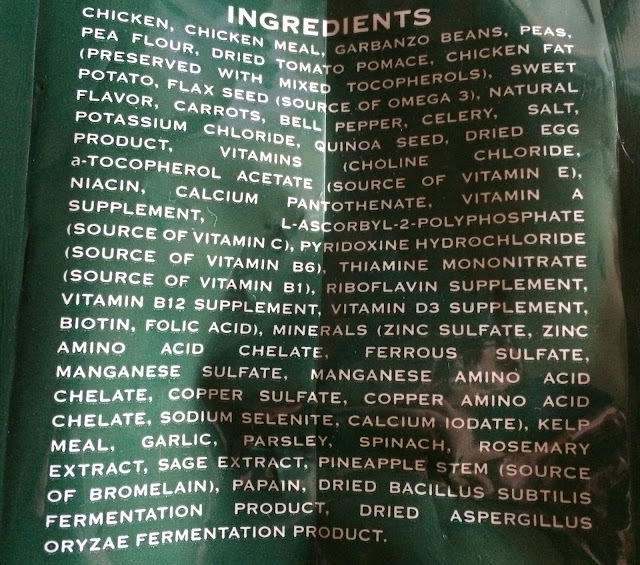 Disclaimer: Baby and the Chi's blog received the product(s) mentioned in this post for the purpose of review and evaluation. Baby and the Chi's blog will always provide honest opinions, beliefs or experiences on products reviewed. If you have any questions, please contact me at babyandthechis at gmail dot com. This blog contains affiliate links and I may receive a small commission if you make a purchase using one of those links. Baby and the Chi's is not responsible for prize delivery. The disclosure is done in accordance with the Federal Trade Commission 10 CFR, Part 255 Guides Concerning the use of Endorsements and Testimonials in Advertising.